Anabel Pérez is CEO and Co-Founder of NovoPayment, a leading FinTech company that enables digital financial and transactional services via a cloud-based, bank-grade platform that supports varied mass payout and cash-in services. The company’s White-Label Platform as a Service (PaaS), Application Program Interface (API) offerings and custom solutions help banks, financial institutions and others throughout the Americas to leverage and transform their existing systems and services to generate new deposits and transaction streams. Under her leadership, NovoPayment has expanded its reach to five countries and today has more than 72 deployments touching more than 10,000 corporate platform users across the Americas serving more than 2.5 million end users. 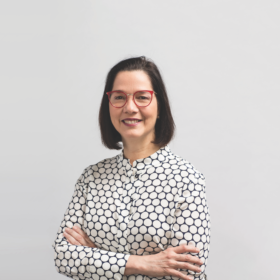 Anabel has more than 25 years of experience in banking and payments including commercial and retail banking, product development and financial services, and is a member of the Forbes Finance Council. She’s has been honored with several professional awards and recognitions including Endeavor Entrepreneur, and the recipient of the Paybefore Industry Achievement Award, the prepaid industry’s highest individual honor in recognition of her contributions to the space and to financial inclusion in Latin America. A frequent speaker and expert source for Latin America’s payments industry, Anabel has participated in several important industry forums, including IFC’s CEO Summit, the MasterCard Worldwide Forum on Prepaid Cards, and Visa’s Regional Commercial Solutions Forum. Anabel holds a law degree from Venezuela’s Universidad Católica Andrés Bello and has received certifications from IESA (Venezuela’s leading business management school) in marketing and business, and from Bank of America’s executive management and retail banking programs.